Pizza chain Papa John's has appointed W Communications to handle its UK PR and social media, following a competitive pitch, PRWeek can reveal. 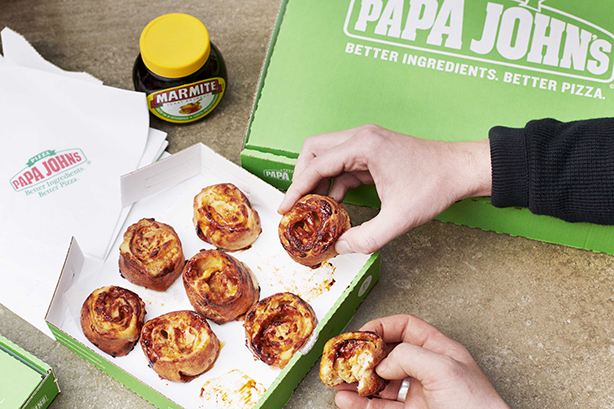 W Communications helped secure a partnership between Marmite and Papa John's. The agency said it has been tasked with "delivering piping hot campaigns that will shake up the category". W’s remit includes strategic partnerships, influencer engagement and content creation, topped off with a "high frequency" newsroom function. At the time of the review, there was no consumer PR incumbent. Papa John’s has more than 400 stores in the UK and 5,000 locations in 44 countries around the world. It joins W’s food and drink portfolio alongside Marmite, Hellmann’s, Pot Noodle, Mare Street Market, Camden Town Brewery and Yo!. W has already helped Papa John’s secure a partnership with British icon Marmite for the launch of their Marmite cheese scrolls. "The Papa John’s business is going through an exciting time in an incredibly competitive marketplace where ‘share of mouth’ is king," W Communications founder and CEO Warren Johnson said. "We’re looking forward to taking on the challenge and delivering the bold strategic and creative thinking that won us the business." Liz Williams, UK managing director at Papa John’s, added "W’s in-depth knowledge of the media and Influencer landscape, combined with their passion for making tangible commercial impact made them the perfect agency partner and we’re delighted to have them on board." Papa John's endured a challenging 2018 after its American founder and chairman John Schnatter resigned from the board in July following reports of racist language that he used in a conference call. Although its US business took a significant sales hit, international sales were less affected with only a 3.3 per cent dip in revenue in the first three quarters of 2018, according to Papa John's most recent quarterly report. This year's UK sales have begun strongly. Papa John's marmite scrolls and vegan pizzas were big hits in January, with the latter quickly selling out.